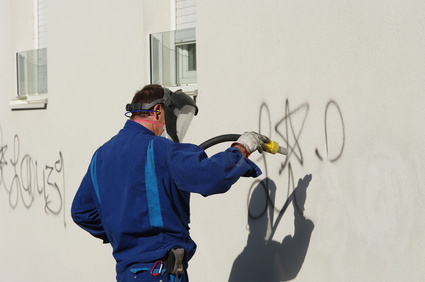 The Graffiti Protection from NewPro protects your buildings from contamination by graffiti and wild placarding. Graffiti Protection can be applied to nearly all types of surfaces and thus allows you to easily and quickly remove any malicious damage. 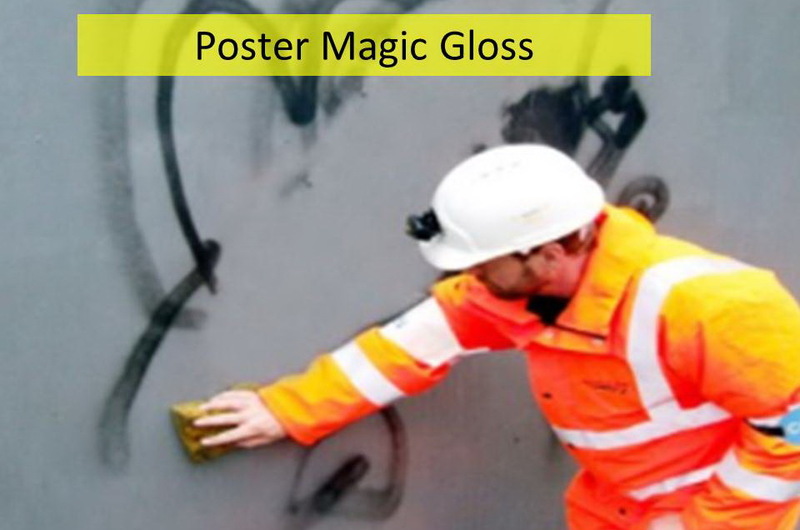 Don't be annoyed any longer about graffiti or facades covered with posters – with Graffiti Protection from NewPro you can actively and efficiently provide an effective resistance! Simply Ingenious: Ideas versus Graffiti & Co. 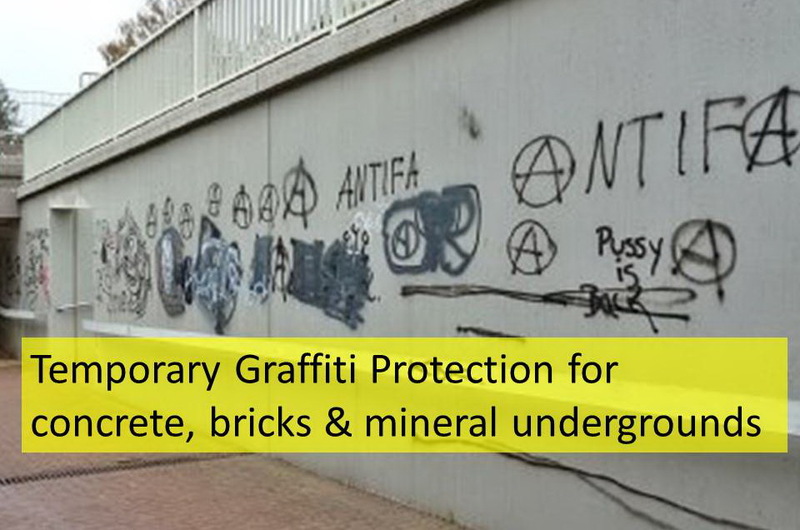 Permanent or temporary graffiti protection. 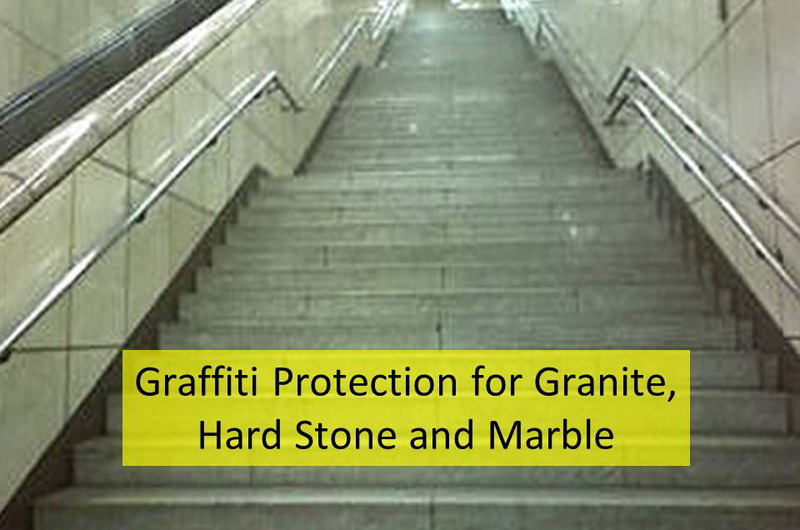 It can be used on concrete, bricks, matt or gloss surfaces, masonry, granite, marble, plastic and metal surfaces. Protection from discoloration or darkening. Simple, quick and easy removal of contamination. 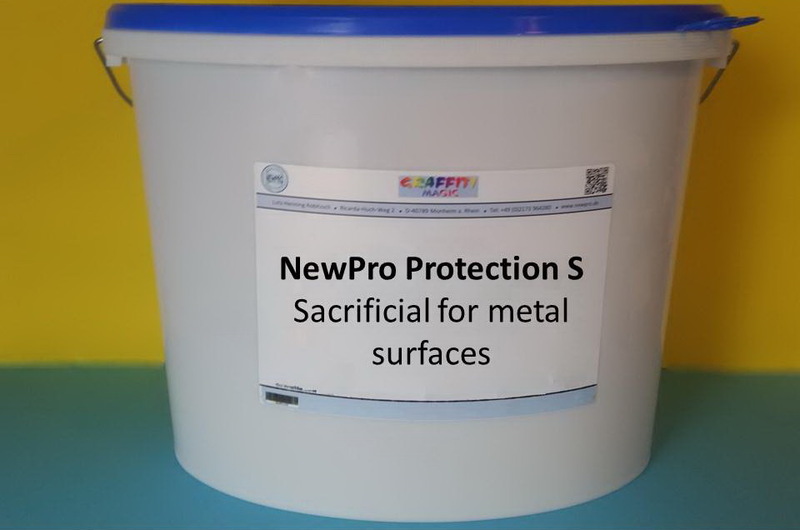 Graffiti Protection from NewPro – is an all-round talent for the protection of your property! Today graffiti and wild placarding are increasing rapidly. These are not only annoying, but also cause serious property damage. Due to the further development of paints and their contents, the removal of the contamination is difficult and often involves high costs. Protect yourself adequately in advance from these so that in future you don't have pay for enormous damages. 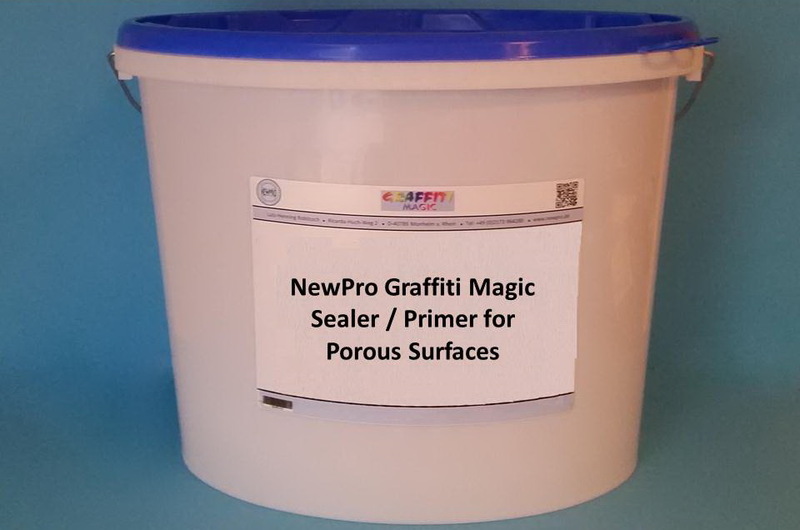 With Graffiti Protection from NewPro you can protect your surfaces permanently or temporarily for up to ten years. The mode of action is remarkably easy: The surface is sealed by covering with the product. 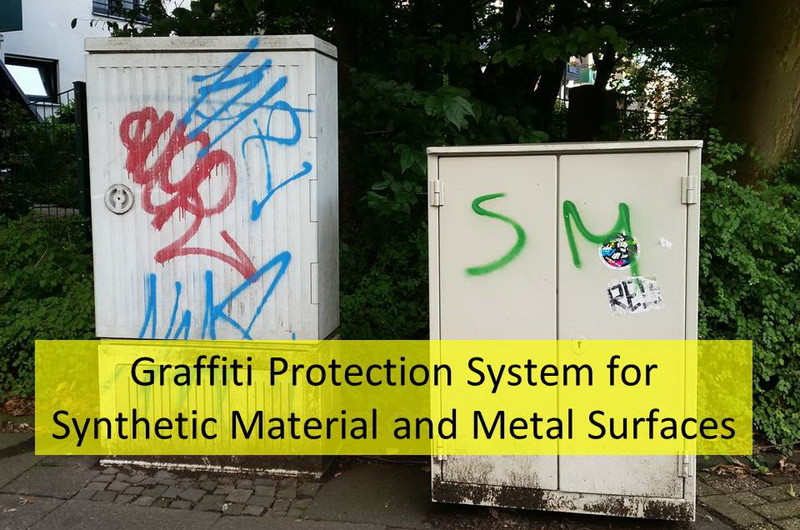 Graffiti paint can then no longer sink deep into the material and special waxes prevent their adhesion – graffiti and placards don't have a chance. The Elephant-Skin effect assists a quick removal. 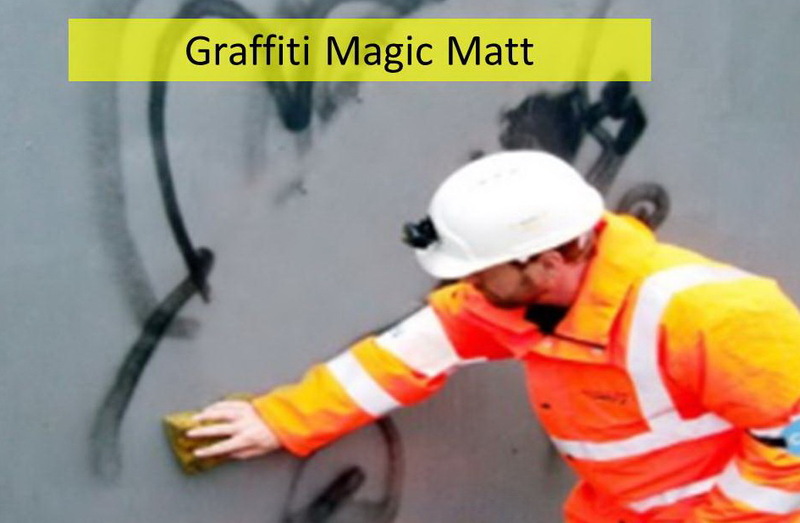 The simple and easy removal of graffiti is due to the elephant-skin effect of our Graffiti Magic Permanent Protection. Because of the impregnation, graffiti simply and figuratively just pearls off the surfaces. 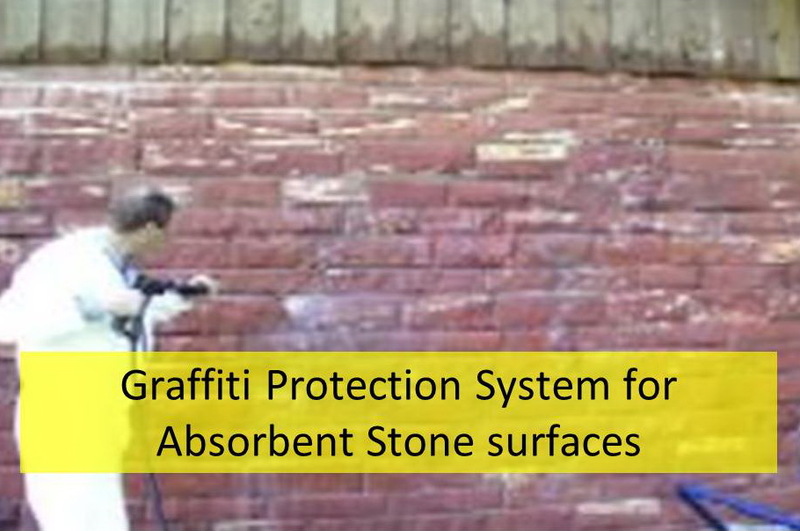 Contamination can be removed with just the use of warm, soapy water because the graffiti did not penetrate the surface material. Graffiti Protection naturally remains intact even after cleaning in this way. Place your trust in NewPro. „Graffiti Artists "don't stop at any façade – not even historical monuments are safe from spray paint. Many landmarked buildings and constructions are covered with graffiti. Strongly corrosive graffiti removers are often needed to clean them, which means that the substance of old monuments are massively attacked and lastingly damaged. A solution is however on the way. 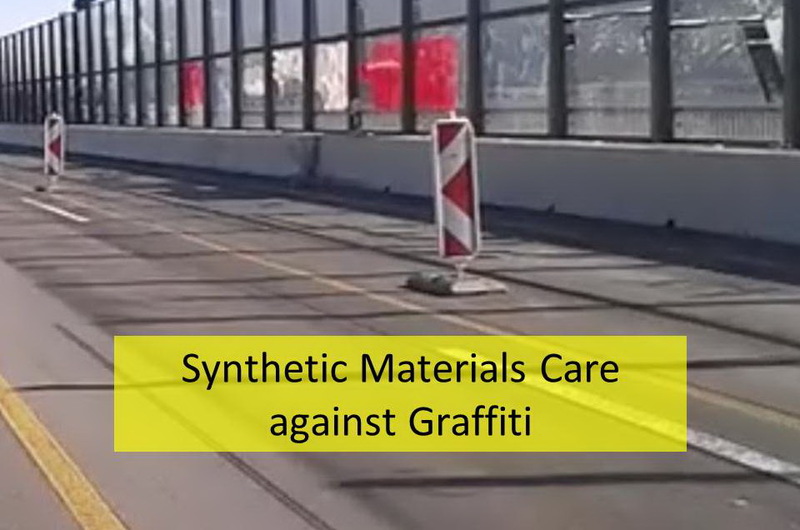 At the beginning of 2016, the Fraunhofer Institute for Applied Polymer Research IAP is developing together with the Centre for Carbon and Polymer Materials at the Polish Academy of Science (CMPiW PAN), a new form of semi-permanent Anti-Graffiti Coating. It is intended that this is used for European monument conservation. First tests at five renowned European building institutes have turned out very promising. The product will come onto the market at the end of the year.